Would you like to support avalanche safety while eating delicious food and listening to live music? This Saturday (11/13/2010) at Bellingham’s own Boundary Bay Brewery there is a family friendly fundraiser for the Alpine Safety Awareness Program. So come down to Boundary Bay’s beer garden, where there will be free fish tacos and music by local band Bentgrass. 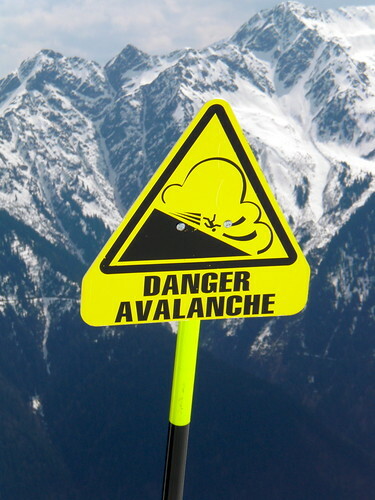 Help Support Avalanche Safety. Flickr photo by Paul Downey. The Alpine Safety Awareness Program (ASAP) is a nonprofit organization that promotes avalanche safety and mountain safety overall. Since 1999, they have reached more than 30,000 students and adults through our programs. They teach free classes every middle and high school in Whatcom County, in addition to schools throughout the northwest. There are also alpine awareness presentations twice a month at local outdoor retailer venues throughout the winter. With the heavy snow we get up at Mt. Baker, the Alpine Safety Awareness Program provides a valuable resource to the community of Bellingham and Whatcom County. The festivities start at 6pm and end at 10pm, and the cover is $10 each or $30 per family. Fifty percent of the proceeds go to benefit the Turk Family, whose daughter is fighting aggressive leukemia, and the other to ASAP. There will be a not so silent auction where you can get deals on some great outdoor gear for skiing, snowboarding and more. All ages welcome, and don’t forget to dress warm!